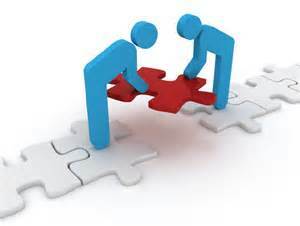 In the field of Social Work, the connection between a professional and client is called a “working alliance.” The alliance begins when the professional and client agree about the work to be done. In the context of fitness, I have formed “working alliances” with five professionals over the last six years. Each professional brought different talents, skill sets, training, and features to my program. The “working alliance” describes my efforts and work with the fitness professionals. The fitness professionals who worked with me had the commitment and willingness to work with me regardless of my walking issues. Each professional agreed within their expertise to assist me to try to reach my goal to walk device-free. Each accepted the differences they encountered working with me, and we modified techniques and strategies to achieve specific goals. A review of literature shows that “one of the most important elements in program continuance and success is the strength of a working alliance.” [i] One of the predictors of success is the ongoing willingness of both the client and professional to engage in a specific technique. Each professional who has worked with me had specific skills and training to teach me how to improve my independent mobility. My walking program is not physical therapy. It is training that focuses on improving my health and mobility. Each professional has built upon the work of others who came before. One professional used Proprioceptive Neuromuscular Facilitation (PNF), a technique to increase my strength, flexibility, and range of motion. Others used combinations of proprioceptive (balance and sense of body position) exercises, posture, and resistance exercises to help me advance my goals. My work with each started and depended on their ability to establish a strong working relationship with me and learning from the work of their predecessors. The concept of a working alliance requires that the parties involved are working together toward a common goal. I was quick to assert myself in the goal-setting process and developing the plans with each professional. I value each professional’s skills, but I am not there to merely comply with a program framework. I partner and collaborate with the professional to achieve specific goals. Each professional I have worked with has quickly shown me that they could think on their feet and adapt. Each was able to put ‘Plan B’ in place when ‘Plan A’ didn’t work due to variables like my legs going spastic. To be able to quickly formulate ‘Plan B’, each professional had to be organized and know how to adapt the drills and exercises. Each had an acute attention to detail and noticed the “small stuff”. One trainer noticed that a particular shoe I wore had a heel that was too high which would interfere with gait changes we were working toward. I was asked to not wear the shoes again. As the client, I had to learn the value of the in-session instructions and tasks that I was assigned or was supervised through. I was learning to master discrete tasks which are specifically designed to change and support improvement in the ways I move and walk. In the role of the client, I needed to see and understand the foundations of the agreed upon plan. I needed to see action toward my goal. In the last 3 years, the working alliance that I have forged with James House, III, the current fitness professional working with me, has grown and advanced. Initially, when we met, he established a rapport when he recognized the importance of a personal goal I had to learn to box. He embraced the aim and helped me build the foundations for action. James knew the goal would drive me to action. The action phase was me learning to box. He helped me to develop the foundational skills and patterns that I needed. We worked together so that I would achieve this personal goal. In future columns, I will continue to explore the elements of the working alliance between the client and professional. What qualities do you think contribute to a successful working alliance? Co-Author James House III has a B.S. Exercise Science and Athletic Training. He is a Certified Functional Movement Specialist. James completed an Associate Degree in Physical Education from Hudson Valley Community College, and he earned a Bachelor of Science from the Palm Beach Atlantic University Physical Education-Teacher Education Program. His concentrations were in exercise science and athletic training. [i] Beutler, L. E., & Harwood, T. M. (2002). What is and can be attributed to the therapeutic relationship? Journal of Contemporary Psychotherapy, 32(1), 25-33.